That's right, folks, only 333 copies exist. This comic reprints Marvel US Wolverine and Jubilee 1 to 4. Pretty classic style cover and I like the fact that she drawn those red eyes for us to know she is a vampire. I will agree it's not the most spectacular cover, but, like his style or not, Phil Noto is a great artist and this issue is a great addition for any of his fans. 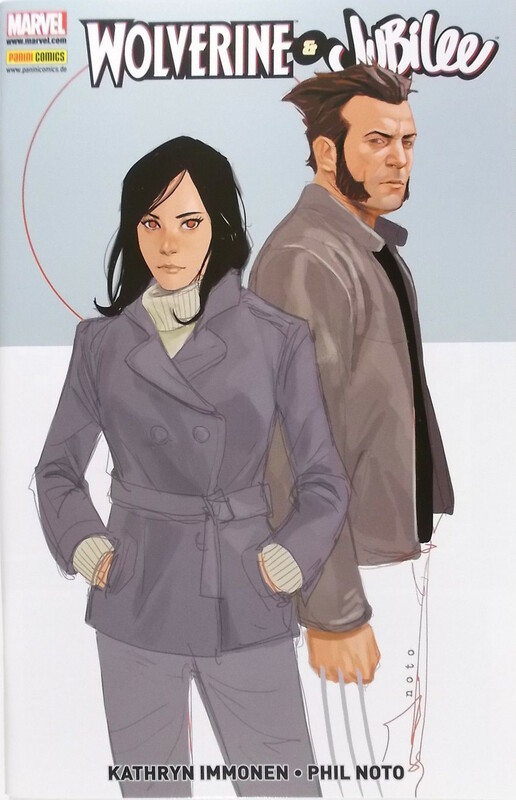 You can find this one easily for under$25 (shipping included) even if it has a limited print run .So if you like a classy cover by Phil Noto, this one is for you!!! Thanks for reading and don’t hesitate if you have recommendation you would like to share. Very cool, understated cover. I like the soft touch Noto has.